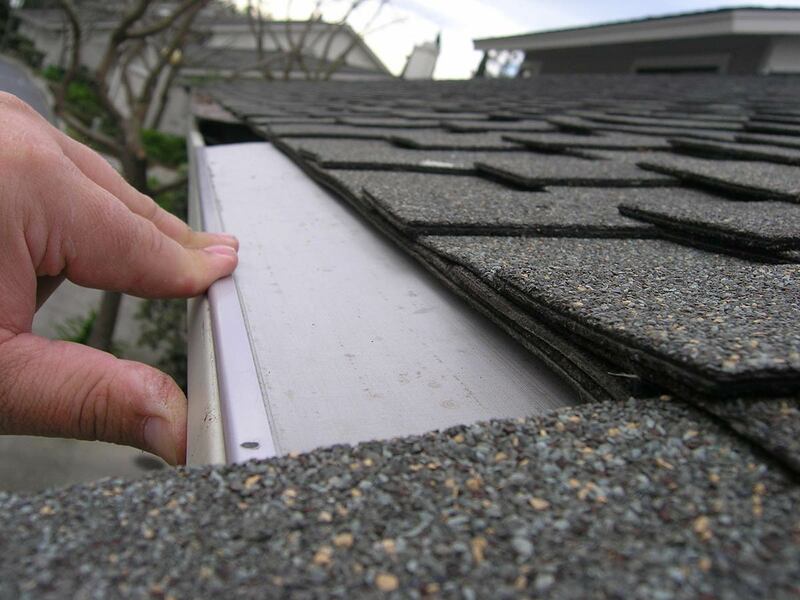 Reverse curve systems allow small debris AND large debris to enter your gutter. 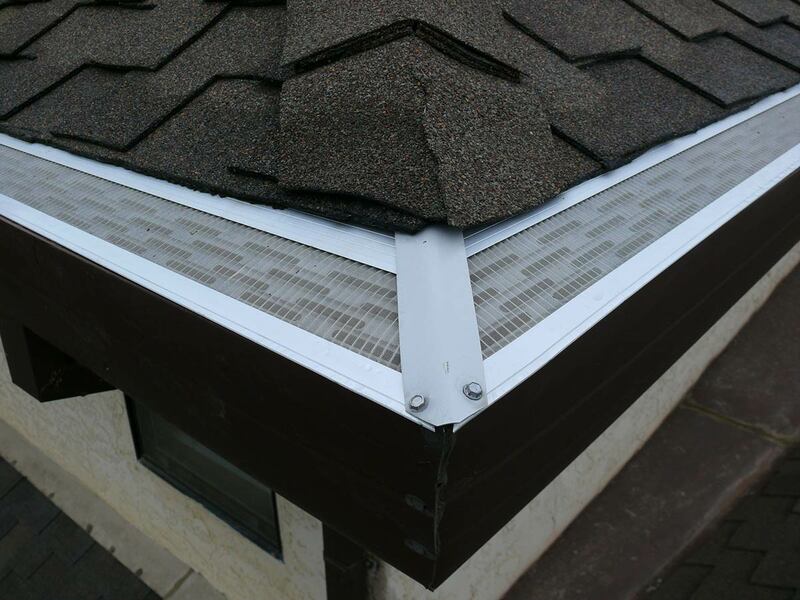 Common reverse curve systems on the market are LeafGuard, K-Guard, Gutter Shutter, Gutter Topper, and Gutter Helmet. These systems all work the same way. 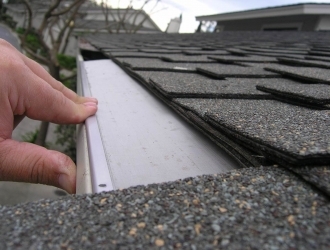 A piece of metal with a bend on the end of it covers your gutter. 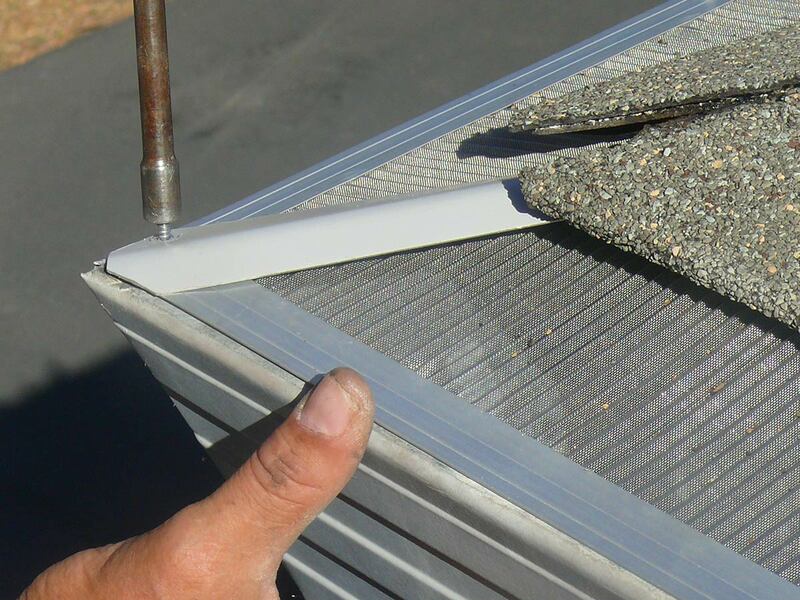 The bend allows the water to flow back into the gutter. 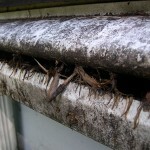 Surface tension “attracts” the water, causing it to defy gravity and seemingly shed debris. 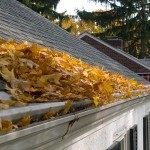 These systems can be expensive, and they are not effective at keeping debris out of your gutter. 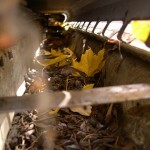 They ususally shed some large debris, but the small pieces flow with the water directly into the gutter. 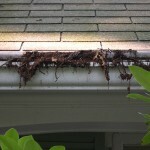 Over time, the small debris builds up, and causes a clog at the downspout. 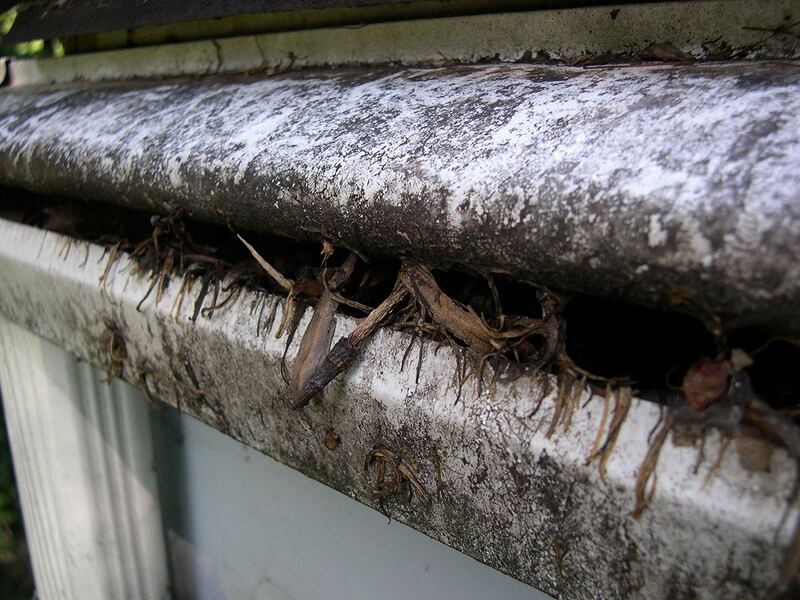 Reverse curve systems cannot always warranty against pests like bees building nests and birds forcing debris into your gutters and ultimately causing clogging and overflow in your system.